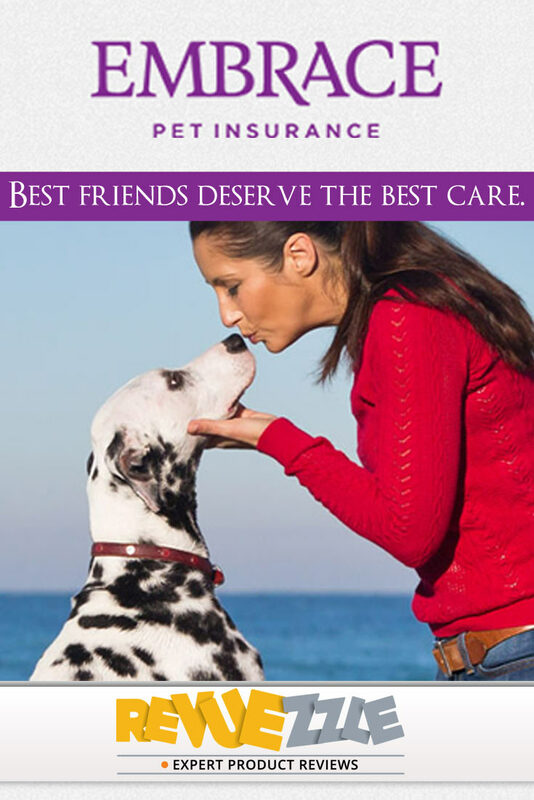 With Embrace you get premium pet insurance, with great customer service all at an affordable price. Embrace Pet Insurance was founded in 2003 by two Wharton MBA's that were part of the pet insurance team that won the Wharton Business Plan Competition. They started out slowly and have had more than a few obstacles to overcome, building and creating Embrace Pet Insurance from 2003-2006, and finally selling their first policy in October of 2006. Since then, by using a customer-centered approach they have been able to overcome every obstacle they have faced. The company prides itself on being down to earth, giving back to the pet community, and the implementation of green and environmentally friendly practices whenever possible. They pay flat rates on claims and are straightforward in their coverage, which translates to broad coverage and fast payouts. Embrace pet insurance is ideal for pet owners who are seeking high customer service, and are in need of quality pet insurance that covers the a wide range of problems. Embrace does not have different tiers of plans like most other pet insurance companies. Instead they provide one level of coverage to all, and let customer choose their own annual limits, annual deductible, and reimbursement level. This allows users to choose exactly how much their premium will be and how far their coverage will extend. Embrace's deductable is a true annual deductible, which sets them apart from other providers like PetFirst who have per incident deductibles. Pricing for Embrace is a bit more expensive than other providers considering their RX drug coverage is an optional add-on ($6/month more) and add's to the already slightly higher price. Other providers include the RX drug coverage in their standard coverage. They also offer an Accident Only Plan for older pets(over 14, or for pets with pre-existing conditions). An Embrace accident-only policy reimburses you up to $5,000 each year. There is a $100 deductible that you pay once per year and then you're reimbursed 90% of your veterinary bills. These parameters are not editable. You will get a 5% discount immediately if your pet is already spayed or neutered. Following enrollment there is a 48 hours or 14 days (depending upon the state) waiting period for injuries and a 14 day waiting period for illnesses. There is also a 6 month waiting period for orthopedic conditions, but this can be brought down to 14 days if your pet undergoes an orthopedic exam. Any claims filed during these waiting periods will not be covered. Embrace is available in all 50 States. It is not currently available in Canada. Pre-existing conditions, breeding, pregnancy, and cosmetic procedures are all excluded. Dental coverage is also excluded unless you purchase their “wellness rewards” add-on, but hereditary conditions are always covered, as long as they are not pre-existing. Embrace offers five choices for deductibles and three for reimbursement level. For deductibles, the choices are $200, $300, $500, $700, $1,000 annually, and for reimbursement the choices are 65%, 80%, and 90%. They have no per incident deductibles. Embrace also offers their Diminishing Deductibles – where your deductible will go down by $50 each year you don't have a claim. They are the only provider to offer this, at this time. Embrace has a maximum annual payout limits of $5,000, $10,000 or $15,000. This is low compared to competitors and may prove problematic should you need treatment beyond the odd accident or routine wellness. Thankfully however Embrace has recently changed their plans and now do not have any lifetime limits. They do not offer an unlimited annual limit option. Through their “Wellness Rewards” plan Embrace offers coverage for routine care. This add-on covers things such as wellness exams, vaccinations, spaying/neutering, blood tests, behavioral training and dental cleaning. Customers are given the choice of annual limits of $250, $450, and $650. Monthly prices depend on which annual limit you choose, but can range anywhere from $20/month up to $50/month. Embrace also offers “Rx Drug Coverage” with their plan. This covers prescription drug medications written by a veterinarian, and costs around $6/month. The fact that this is an extra rather than included in the coverage is a bit of a disappointment to us. Embrace also offers an optional “Final Respects” which covers the cost of final expenses for cremation, urns, funeral expenses and memorial stones upon the death of each Pet covered. However they do not provide easily accessible information about pricing for this add-on. You do have to meet deductibles, and any annual limits apply. They also offer optional “Ambulance Care Coverage” that reimburses you for Pet ambulance transport costs in the case of a medical emergency. But once again the pricing and information for this coverage is not easily found. We found the fact that they even offer it in the “Terms and Conditions” statement. As with the Final Respect Coverage, deductibles and annual limits apply. We are attempting to contact them with regards to pricing and more information for both the Final Respects coverage and Ambulance Care Coverages. Embrace makes enrollment very easy. They only require you to put in your pets information to get a quote, and then set up a mailing address and payment. They also allow you to set up direct deposit, so you can get reimbursed for claims faster. They offer a 30 day money back guarantee, so if you aren't happy and haven't submitted a claim you can cancel and get your money back within 30 days. Customer service can be reached by phone from Monday-Friday, 8:30am-8pm ET and Saturdays from 9am-1pm ET. Their toll free number is 1-800-511-9172. While they do not have a live chat option, they do have a good search bar on their website which helps to provide knowledge and support even after business hours. Premium pricing is dependent on a variety of factors. Breed, age, and gender all affect the price, as well as geographic area, whether your pet is microchipped, and where your pet came from (i.e. breeder, shelter, friend etc.). We were not able to find pricing for their Accident Only policy – we are attempting to contact them with regards to this. 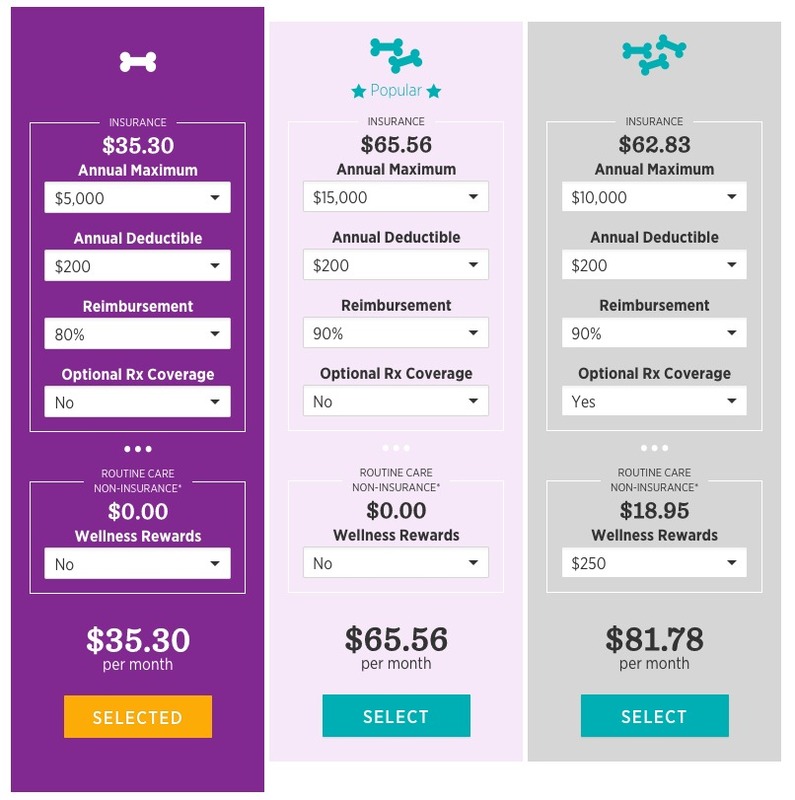 *Sample price based on a 2 year old mixed breed female non-spayed from Minnesota with a $5,000 annual limit, $200 annual deductible, and 80% reimbursement level, the “rx drug coverage” is listed optionally. Embrace accepts payment on a monthly and or annual basis. Customers who pay annually save 5% on their premium. Pets as young as 6 weeks can enroll with Embrace, and if maintained the policy they will continue for your pet’s entire life. There is an upper age limit of 14 years for new enrollment however. Embrace offers the optional “Wellness Rewards” plan to cover wellness treatment. These optional plans come in $250, $450, and $650 increments. These are 100% reimbursement, no deductibles or co-pays, no waiting periods and no per item limits. Yes, the main plans cover accidents and injuries. Annual deductibles of $200, $300, $500, $700, $1000. There are no per incident deductibles. Embrace will not increase the cost of policies due to filing claims. There are annual limits of $5,000, $10,000, and $15,000. Embrace has also recently removed their lifetime limits. Alternative therapy, hip dysplasia, and Congenital/Hereditary conditions are fully covered with Embrace, along with Cancer treatments and breed specific conditions. Embrace pet insurance is best suited for owners who want broad coverage with the options of RX drug coverage and wellness coverage from a company that provides top notch customer service. Bear in mind that there is a $15,000 maximum annual limit so if you have a breed that is prone to expensive illnesses or you live where a working dog may be susceptible to injuries you may want to consider an insurer with higher annual limits or unlimited coverage. Embrace is the only pet insurance company that offers diminishing deductibles. For every year you don't submit a claim you receive a $50 decrease in your annual deductible. So if you have a very healthy pet, you can save quite a bit in deductibles – which can be a huge benefit when the time comes that you do have to submit a claim. Embrace does an excellent job of presenting itself to the consumer. Their website provides great information about Embrace as a company and everything that they offer to potential customers. Whether it is knowledge about their insurance plans, interest into their charity work, or just to find out more about raising a pet, you can find it on their website. They are very transparent about what they do and do not cover, as well as clearly specifying waiting periods, deductibles and limits. Embrace offers a good wellness add-on that covers everything from dental and preventative care, to vaccines and spaying/neutering. The wellness plan offers no deductibles, copays or waiting periods, so they don’t count towards your annual limit. It's available in $250, $450 and $650 plans with no per item limits (unlike PetPremium). Embrace offers many possible discounts prior to enrollment. For example, they have a 5% multi-pet discount if you register more than 1 pet with them. They also give 5% discounts to spayed/neutered pets, active members of the military, and customers who pay on an annual basis. All of these discounts can really add up and save you lots of money. 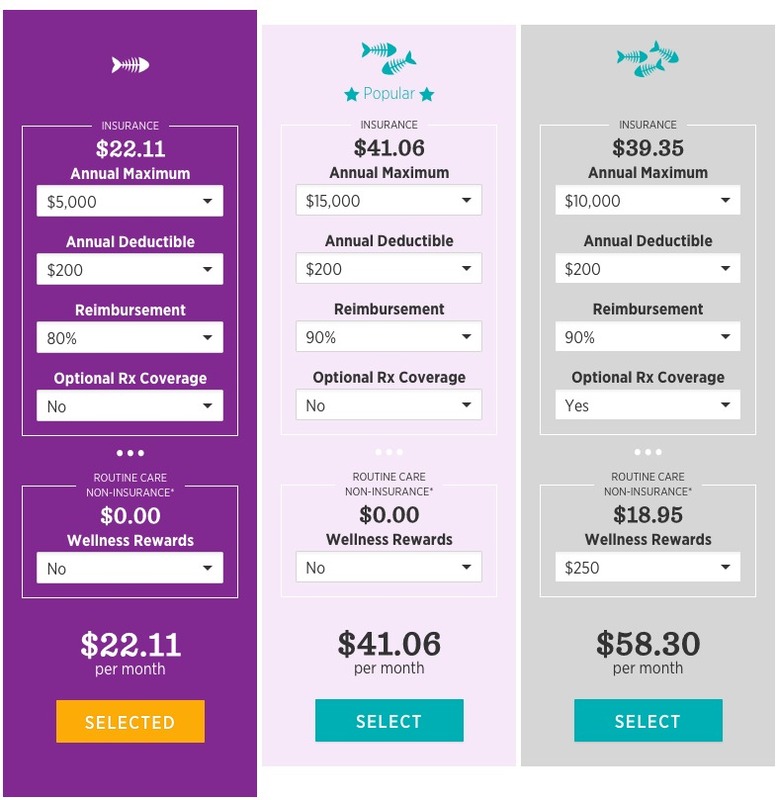 With Embrace it's easy to configure the plan with the deductibles, limits, and coverage you want. You can easily add RX Drug Coverage, and Wellness coverage. They are very transparent and it is easy to understand what you are signing up for. There are no hidden gotcha's or misleading terminology. Embrace has a maximum annual limit of $15,000 with no option for an unlimited plan. This is lower than some competitors who offer $20,000 or unlimited plans, and could potentially be reached very quickly if you have a pet that needs expensive surgery. Thankfully though they have recently removed lifetime limits so this amount will renew each year. Embrace is an environmentally friendly, charitable, and innovative company. They offer insurance that covers almost every conceivable issue a pet could face, and they provide good support if any problem should ever arise. Unfortunately, they have low annual limits that a sick pet could easily reach. Overall though, Embrace is a business that truly cares about the well-being of their customers, and there are thousands of past clients who will vouch for their service. High quality customer service and expansive coverage. Premium pricing is dependent on a variety of factors. Breed, age, and gender all affect the price, and geographic location. 2 year old mixed breed dog, insurance will cost $35/month. You can add optional RX coverage for an additional $5.30/month. 2 year old domestic short-haired cat, insurance would run $22/month You can add optional RX coverage for an additional $3.32/month. *Sample price based on a 2 year old mixed breed, non-spayed female from Minnesota with a $5,000 annual limit, $200 deductible, and 80% reimbursement level. The "rx drug coverage" is shown as optional. Embrace is one of the few to offer pet prescription coverage - which could potentially save you hundreds each year!